I love the direction city building sims are going: I absolutely loved playing Banished and now I am totally enjoying Planetbase, a city/base building that brings in survival and huge levels of challenge into play, giving you the chance to colonize a new planet. But it won’t be easy, as resources are scarce, dangers are everywhere and… well… you’re usually just about to fail. 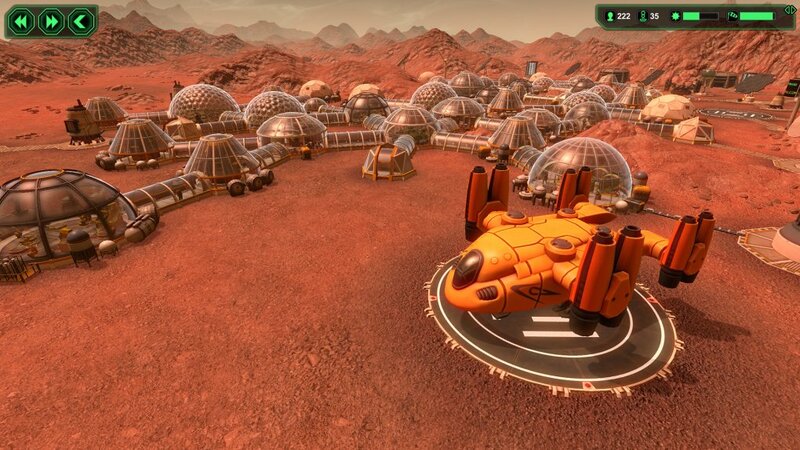 I am here to help you get started and try to avoid the inevitable failure of your new colony by sharing some Planetbase tips and tricks – a guide to build up the perfect base from the ground up and keep you playing for as long as possible. There are different strategies one cam follow, especially in the later stages of the game, but below I have what I consider to be the best way to start your base, plus some general knowledge that you might find helpful, especially if you’re just starting to play the game. You will start the game with limited resources, but enough to last you for a while. Putting them to good use and not rushing is vital early on. Since you have enough to rush through building things in Planetbase, you will usually do so. But I recommend being patient and waiting to have some resources before improving your base because resource collecting here is pretty slow! Now, with that in mind, let’s start building. You should always start with an O2 Generator and then connecting the airlock to it. If your crew can’t breathe, they won’t live. Easy as pie! Go for both types of power early on: build a small Solar Power Panel and a small Wind Generator, then add the Power Collector to store excess energy and offer you back-up when there are no winds during the night time. You will have to always keep an eye on your power consumption and add extra Collectors and even generators to keep things running smoothly. Water is required, also for producing oxygen, so start with 1 Water extractor to have everything running smoothly. – Dorm: the crew gets tired and they need sleep to keep on working, so first build them a house. Go for the small dorm and add 7 bunk beds to accommodate your starting crew. Add extra ones as numbers grow. – Canteen: start with the default size, there’s no need to overdo it here as you don’t have a lot of people anyway. One big table, drinking fountain, food machine and TV should do the trick! – Lab: You need variety when it comes to food so that your people don’t become malnourished and it’s the lab where the magic happens. Build 2 Meat producing items and go for chicken and pork or beef. Also, add the Workbench in your lab! – Biodome: Attaching this to canteen is the obvious way to go, but I like to also connect it with the Lab. This really brings up the food variety and you’ll really need it, so you might just start with the biggest size available. However, start with just 1 Vegetable and 1 Starch units, as well as 1 Medical Plant. These would be enough early on and will allow you to focus on getting everything else ready. But remember to check your water levels for this one to work properly and get back to it to expand it as your crew gets bigger and so do their needs. – Sickbay: It’s a bit risky to wait for so long to get your Sickbay running, but usually safe. This is where your crew gets healed, so you need one too! – Mine: They are built differently than regular structures, but I suggest building them near an Airlock to minimize the time spent outside by your workers: those working in a mine are really prone to injury since they have to be outside to work. – Processing Plant: Finally, the really important building that creates the materials needed for further upgrades and evolution of your base. If you don’t have enough materials for it, remember that you can sacrifice your mothership for some extra, but the remaining goods will be facing the elements and slowly decay, so it’s the last solution for you! But you have to get that Processing Plant done now in order to keep on building! Watch out for Malnutrition! This can happen at any moment, and you have to keep an eye on your medic. If he gets sick with Malnutrition, everything is lost! Think about variety and always add extra crops on the table! When Solar Explosions happen, it’s best to get all your citizens inside and do it fast. You don’t need your base decimated by radiation poisoning now, do you? There is a lot more in Planetbase and this guide for beginners only scratches the surface, but I do hope that it manages to help you understand the game better and get better at it next time you play. If you have other tips to share with fellow players, don’t hesitate to comment below!